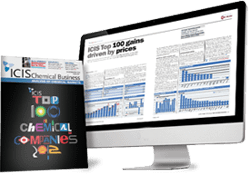 Acrylonitrile markets are covered weekly by ICIS in Asia, Europe and the US by our network of locally based reporters. The reports contain news and market analysis to help you keep abreast of global movements and include information on spot and contract prices, upstream and downstream markets, as well as production issues and any other influencing factors. 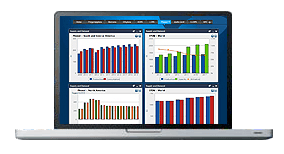 This unbiased market intelligence can help you to make informed business decisions. Asia’s acrylonitrile (ACN) rode on an uptrend in the first quarter amid the tight global supply. Overall ACN supply shortened after global supplier INEOS Nitriles declared force majeure (FM) on ACN at its Green Lake plant in the US, its Seal Sands plant in the UK and its plant in Germany, following a plant turnaround in Taiwan. The rising prices in China local market also exerted the upward pressure on Asian market. Downstream demand improved gradually from second half of February amid the restocking activities after Lunar New Year holiday. And buyers in South Korea and Taiwan whose supply was disrupted by INEOS’ FM had to come to the market to snap up spot cargoes. Buying interest from the downstream acrylonitrile-butadienestyrene (ABS) sector was higher than that from acrylic fibre (AF) producers, given the stronger price affordability of ABS producers. Supply of acrylonitrile (ACN) in Europe was became short following two force majeure declarations from INEOS Nitriles. The declarations were announced at its Seal Sands, UK, site during the second week of February, and on 27 February at its Cologne, Germany unit. Anqore were preparing for maintenance scheduled to take place mid-April. 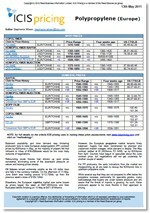 The status continued at the end of March, but full rates were returning in Germany, while the UK site remained down. While Q1 2019 remained slow for some sectors, the acrylic fibre (AF) area saw output rates rise from around 60% seen in the latter part of 2018 to around 80% in Q1 2019. Concern surrounding global macroeconomics, Brexit and the US/China tariff talks, continues to create some uncertainty. US acrylonitrile (ACN) supply decreased in the first quarter on the back of unexpected outages and force majeure declarations in the global market. INEOS had a leak at its Texas Green Lake plant in February that prompted the company to declare a force majeure that remains in place as of early April. The company also had production issues and announced force majeures at its UK Seal Sands and German Dormagen plant, further tightening US supply. US ACN demand increased in the first quarter but was slower than expected, driven primarily by major outages in the global market over real downstream demand growth. Uncertainty regarding the US-China trade war, ongoing Brexit talks and the upcoming EU elections, as well as slower economic growth and weaker automotive demand weighed on demand. However, major production disruptions at INEOS’ global ACN plants caused a sudden spike in demand amid a lack of availability. Acrylonitrile (ACN) is a clear, colourless or pale yellow flammable liquid with a sweet, pungent, irritating odour. It is partially soluble in water, soluble in most organic solvents (including ethyl alcohol, acetone, benzene, carbon tetrachloride and ethyl acetate), very reactive and polymerises violently in the presence of alkalis or peroxides. ACN is used mainly as a monomer or comonomer in the production of synthetic fibres, plastics and elastomers. The largest outlet is in the manufacture of acrylic fibres, which are used in clothing. Acrylic fibres also have uses in home furnishings and bedding. An important outlet for ACN is the acrylonitrile-butadiene-styrene (ABS)/styrene-acrylonitrile (SAN) market. The dominant route for the manufacture of ACN is the one-step propylene ammoxidation process, replacing the original acetylene-based technology. New technology based on propane ammoxidation is being developed by a number of ACN producers with claims of a 30% production cost advantage compared to the propylene route.